The Cash Blast Off promotion is all set to take the players at Virgin Casino on an amazing new journey of earning fantastic rewards without having to outdo each other. In this promotion, the players will only have to gauge the amount they can wager and then select the deposit correctly. Finally, a deposit bonus will be given to the successful gamers. This promotion is expected to run from April 23rd to April 27th and players must log onto their respective accounts in the Virgin Casino to take part. The players will then have to type in the code BLAST500. To make a deposit, you must redeem this code. 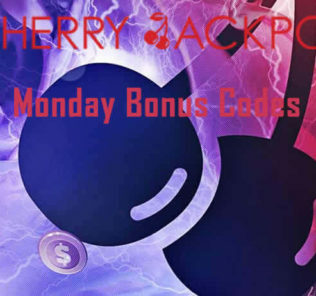 The first deposit which is made after redeeming this code is then matched with the bonus provided the wagering criteria are fulfilled on time. You must have a minimum deposit of 15 pounds, whereas the maximum deposit is 500 pounds. All players must play through these deposits about 30 times on those games which are designated for the promotion. The players making a deposit of 15 pounds have to place wagers worth 450 pounds during this promotion period, whereas those giving 500 pounds have to wager a whopping 15,000 pounds. These amounts may be wagered drawing from the initial deposits, extra deposits, and winning amounts. The players who can successfully complete all wagering criteria are given bonuses. Many slots have been identified by the Virgin Casino for this promotion period. It is important to remember that wagers can be placed only on these games. The casino uses the QuickFire platform to provide some of the most popular Microgaming slots. Many of these games have been included in this promotional initiative. Of these, one popular game is the Cashapillar which has 100 pay lines. This game is to celebrate the caterpillar’s 100th birthday. Another recent Microgaming online slot is the Immortal Romance. This game features characters which bear close association with vampires. These characters’ lives become intertwined and each of these ominous characters has its own set of free spins. A player will need to clear one player’s free spins before advancing to the next player. The action-packed Tomb Raider II which follows on the heels of the original Tomb Raider I has been subtitled and has Lara Croft as its principal character. The Virgin Casino provides many other slot games from Cryptologic and WagerWorks. This online casino has been licensed by the Alderney Gambling Control Commission. The Microgaming software has always been responsible for delivering some of the best-known and most popular casino games. A newly launched game among these is the scary slots Alaxe in Zombieland which is certain to win the hearts of online casino players. Along with this release, two other games belonging to the same category have also made their appearance. These are the Steam Punk Heroes and Jekyll and Hyde slots. In the first players get to travel through an alternate route in history where steam is the main power source, whereas in the second players are taken through a journey of evil and good. This changeover from a good to an evil character allows players to win cash prizes. Three scatter symbols on reels signify bonuses. Every time Jekyll turns into his evil-half Hyde, you can win money. The music is also eerie in keeping with the game theme and the artwork is praiseworthy.